Quick update : I am still doing hair just don’t have as much time to update my blog . Although these kind of curls have the tendency to produce a lot of volume rather quickly , this client wanted a very tame look, so I put less hair at the back, and filled it up towards the front. Both the client and I were pleased with the cute, finished look. The invisible parting is great if you’re seeking a more natural look also. 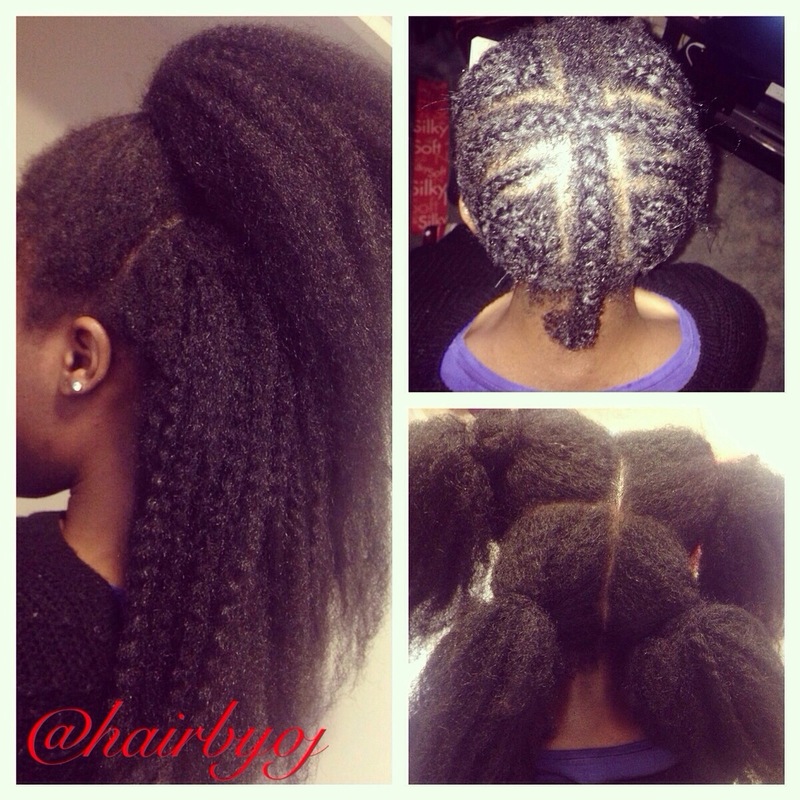 Having installed this the first time, I found the process quite simple and quicker than the usual crochet braids. For those who are unaware – the ‘vixen’ term refers to when the hair can be parted 4 ways from the centre of the head. Hair is left out around the perimeter and around each quarter of the head to create a natural look. As a result, styling is more than versatile as the client can now achieve half up half down styles, a ponytail, or even the fishbone style. 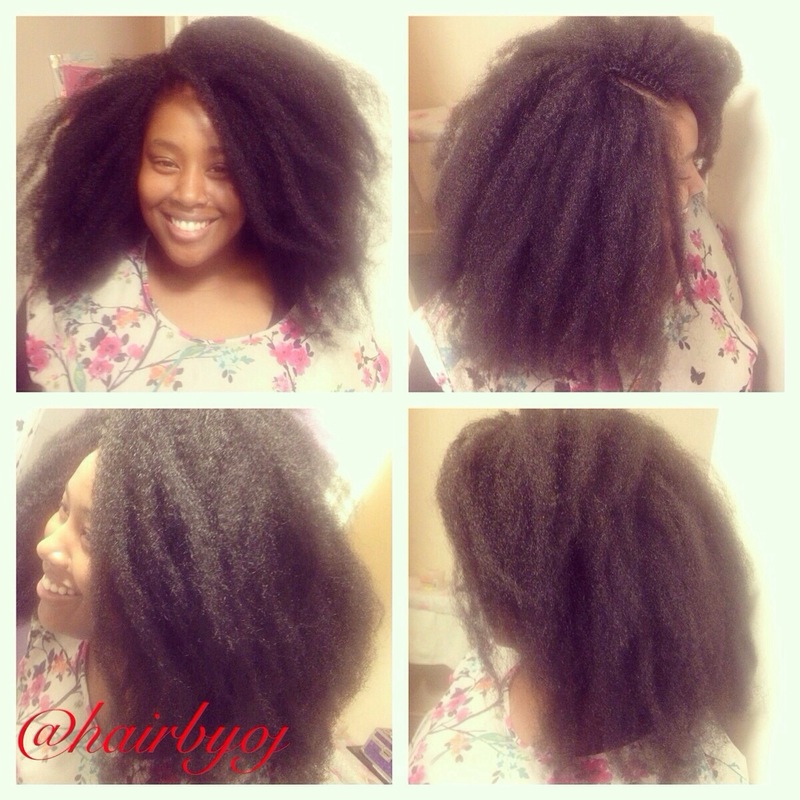 This client who has relaxed hair wanted to try something with a natural look hence why she chose to install the Marley hair. 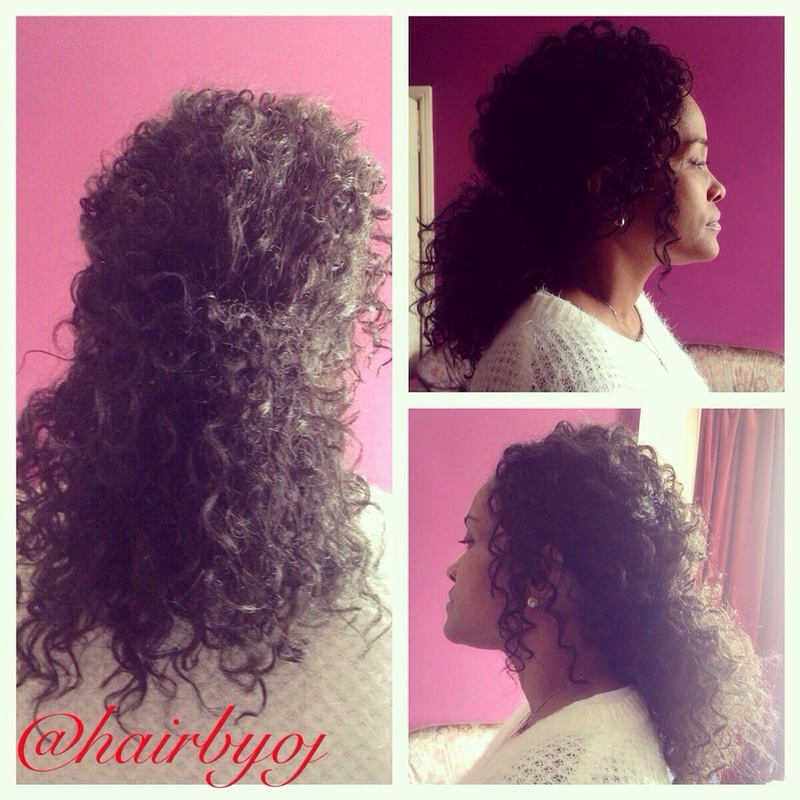 The length and volume creates styling versatility and also allows it to look very natural. The parting is a versatile middle and side parting also. 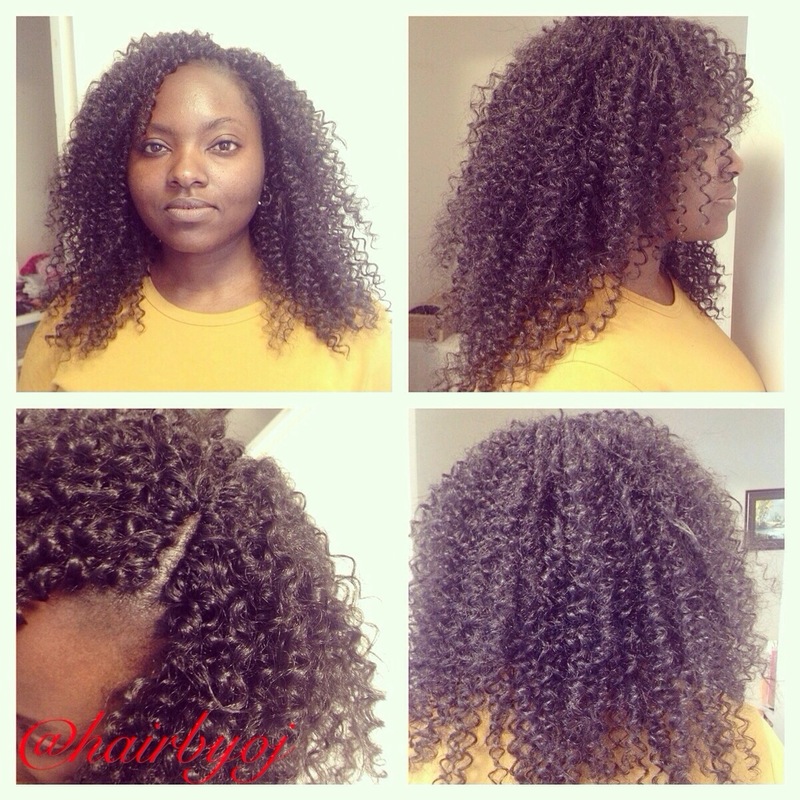 This post was simply to show the styling versatility crochet braids have. Although very simple and basic, the classic ponytail is suitable for work, everyday wear or even for a night out! The curls also give the ponytail some character and volume. 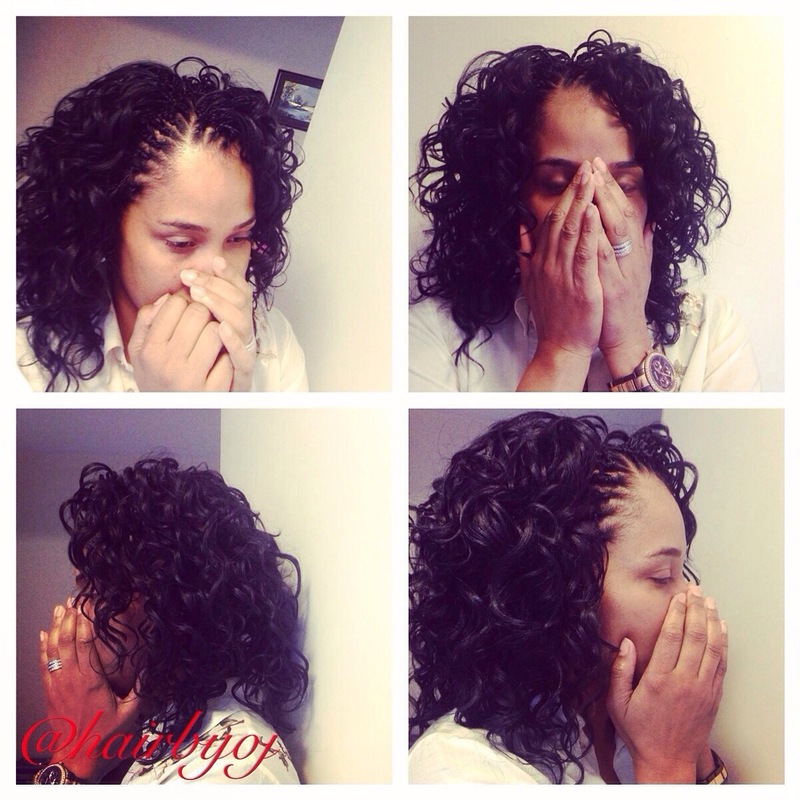 This client chose loose curls as she preferred something simple yet still professional enough for her working environment. TIP: when choosing to do loose curls, ensure to buy a texture which is not silky or it has a high chance of falling out! If you do choose to use silky hair however, ensure you install very tiny sections -that way the knots will be more secure.